This collection brings together in English the work of one of the most gifted and remarkable Jewish poets of the former Soviet Union. Suffused with a consciousness of suffering, homelessness, and inevitably, the Holocaust, these modernist poems are meditative, elegiac, and prophetic in tone, and touch on the themes of loss, loneliness, displacement, war, and the yearning for renewal. 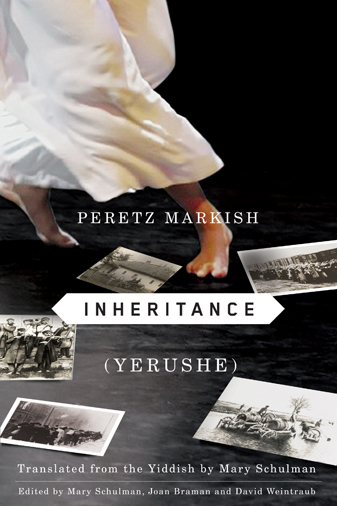 Inextricably bound up with Markish's Eastern European Jewish identity, they are also intensely personal, modern, and universal. Considered the “Jewish Byron” by many, Peretz Markish (1895–1952) was born in Volhynia, Ukraine, and went on to write forty works in Yiddish, twenty of which were translated into Russian. In 1921, in Warsaw, he formed the group called The Gang, which struggled against realism in literature, and he coedited the expressionist Khaliastre Almanakh , which contained illustrations by Marc Chagall. His own poems expressed Jewish sorrow and hope. In 1926 he returned to the Soviet Union where he produced his best-known works, including those expressing Soviet patriotism and his grief at the extermination of the Jews. He was awarded the Order of Lenin in 1939, and executed in 1952, accused of Jewish nationalism. Published bi-lingually with Yiddish/English facing pages.